We're on the move again. 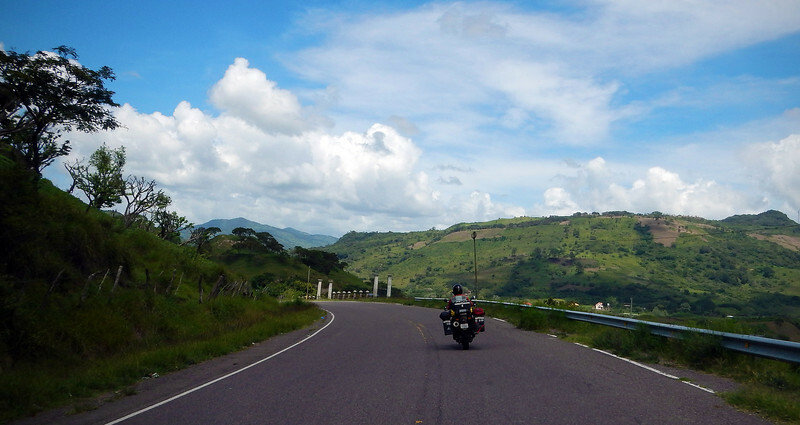 Today we are going to ride through the Honduras, tackling both borders in a single day. 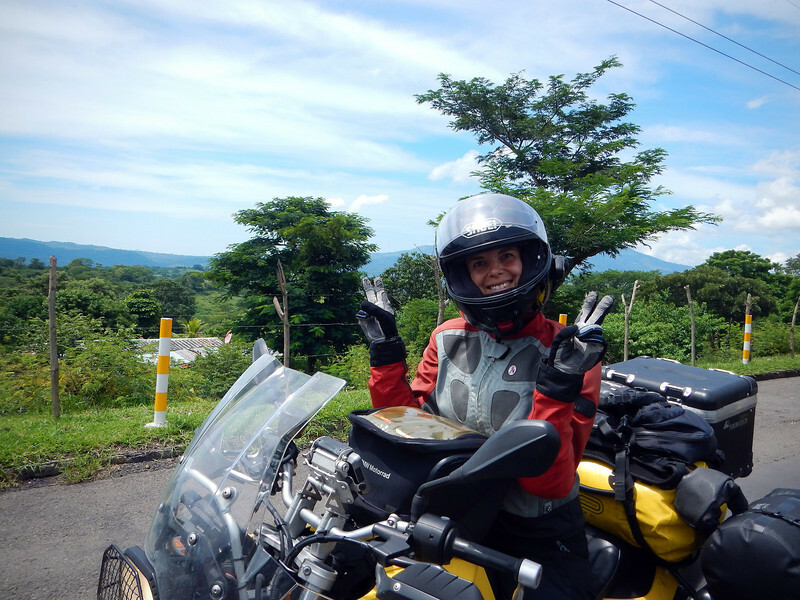 We've absolutely enjoyed riding around Central America - the people, culture and geography here are wonderful. The only exception - that Twilight Zone between countries, where a deluge of helpers, documents and stamps, money changers, photocopies and queues threaten to spoil all the good impressions we've had so far. Neda is not one to be Bullied around on the road! This is our second time through, having done this same crossing at the same place just 7 months ago. 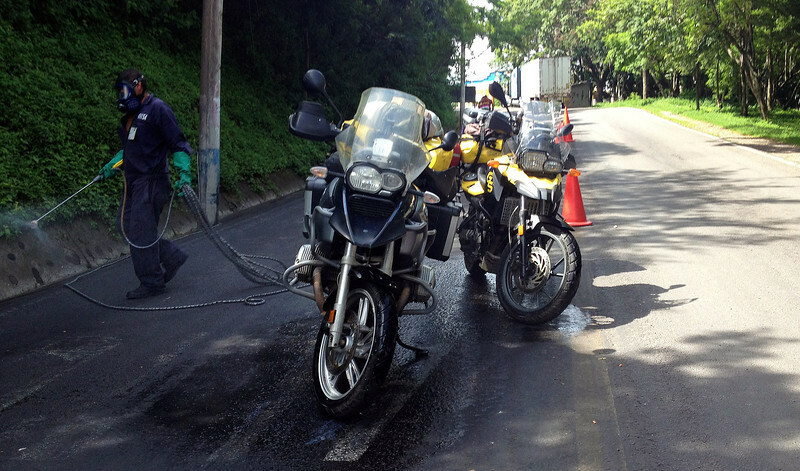 That time was under great duress - we were in a rush to meet the Stahlratte in Panama, I had a full-blown flu and was running a high fever while on the bike, and we were bickering and arguing at each border crossing. This time around, we're going to use all our lessons learned from the first time and try to make this crossing more enjoyable. Most important lesson: Be prepared. Give yourself lots of time. Get to the border early. Have all your photocopies ready. Avoid Hanger (Hunger+Anger) Management Issues: arrive on a full stomach, bring lots of water and snacks. Neda strides purposefully to the Aduana booth, using her superhuman Spanish skills to stymie the helpers swarming around her. Concerning all matters regarding the Espanol, I am the sidekick: the Robin to her Batman, the Watson to her Sherlock Holmes, the Wilson to her Castaway... Neda has given me the UberImportant task of keeping guard over the bikes while she attends to business. This is the action-movie equivalent of being told to stay in the van during the exciting fight scenes. The "helper" industry is big business. Although you wouldn't know it from the prices they charge. 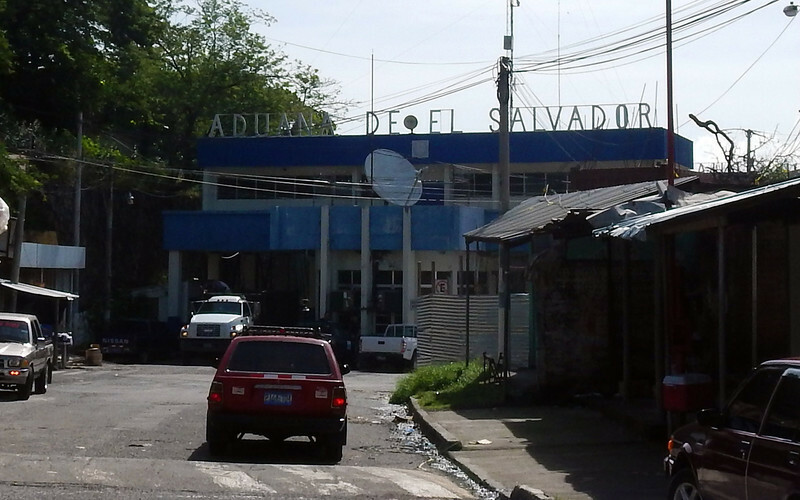 Some offer their border crossing services for $5. Ignore them long enough and they lower the price to $1. 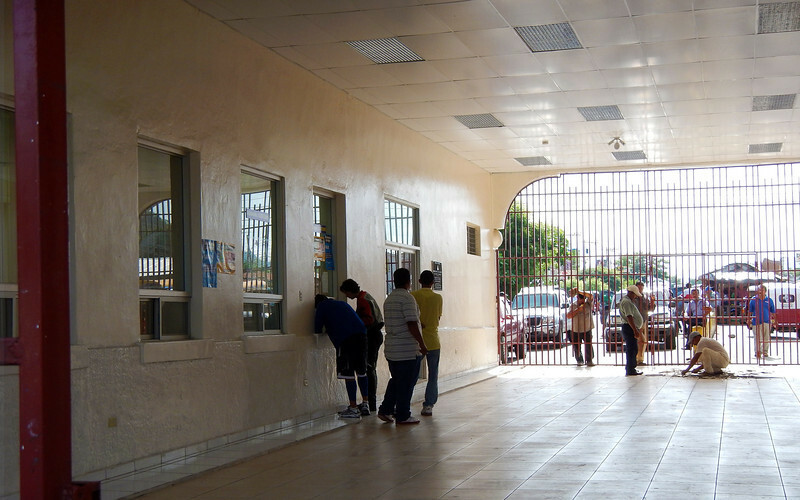 Before you go thinking that's a great deal, the reality is that the helper will broker all transactions between you and the officials, so if a fee actually costs $3 USD, they will tell you it will cost $15 and pocket the extra $12. 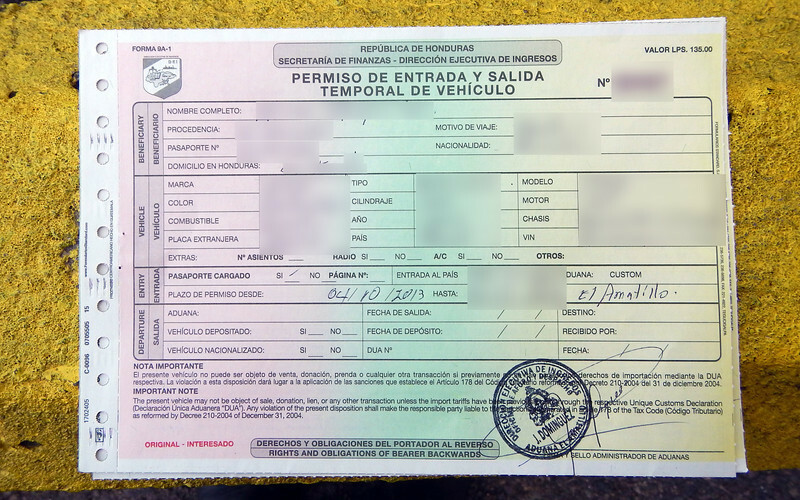 And there are many transactions to complete at the border (some are even no-cost, but your helper won't tell you that). 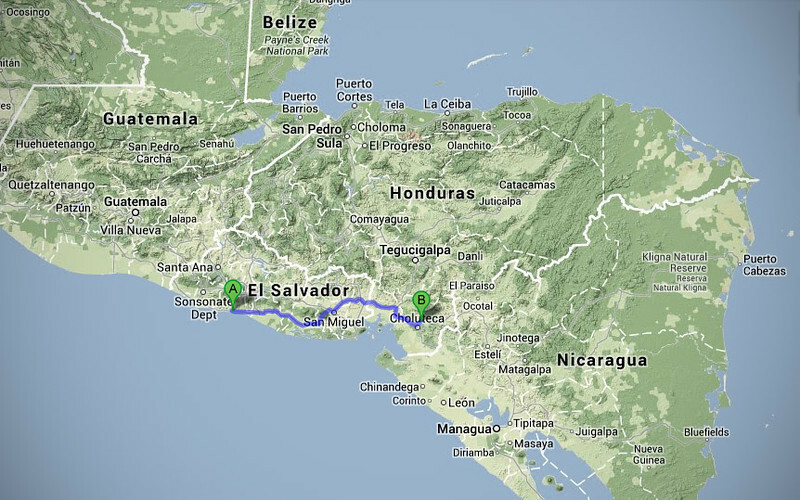 Officially, it should only cost $38 USD to cross the border with yourself and a motorcycle. 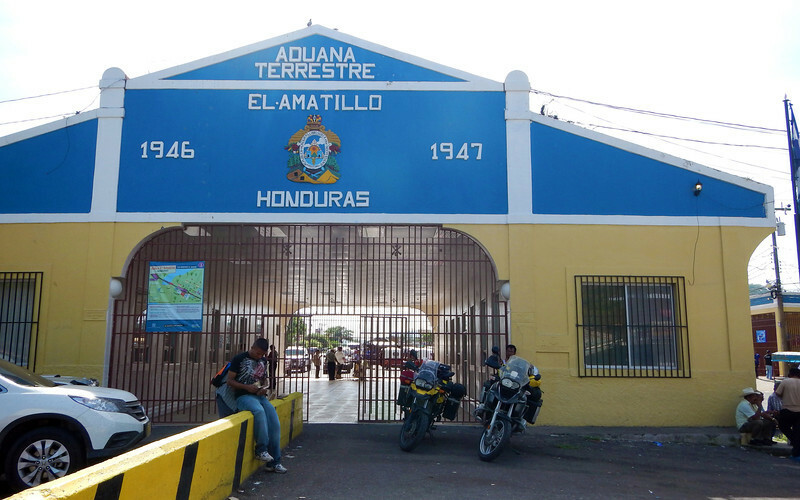 However, I've heard horror stories of travelers paying $150-$200 *MORE* than they should have at this border crossing! Big business. They mainly target non-Spanish-speakers. Often they'll point to fancy (and some not so fancy) laminated badges that they wear around their necks implying that they are officials of some sort. If you look closely at some of the badges, you will see that the pictures printed on them might not even match the face of the badge-wearer! LOL! 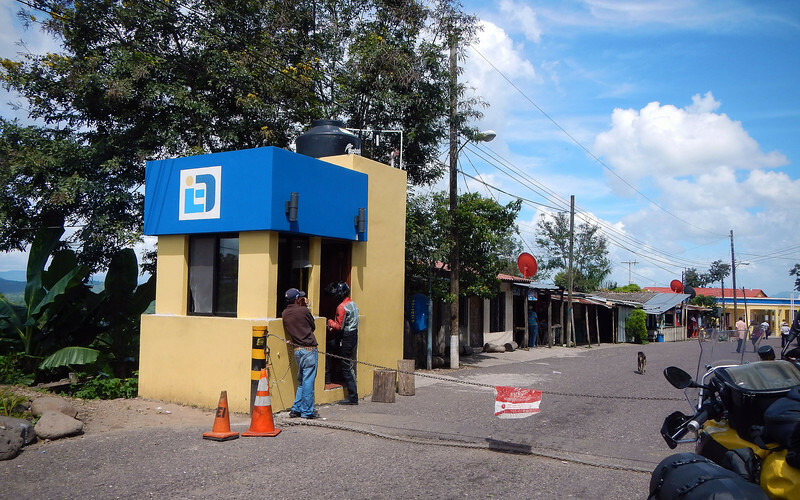 Another species of border dwellers are money changers - CambioGuys - who roam around with big wads of bills in their hands. They provide a foreign currency exchange service and their exchange rate is very good. Very good for them. Not for you. They are all in collusion with each other not to compete for rates, so don't bother shopping around. Some of the more unscrupulous CambioGuys carry large calculators which they will use to calculate how much money you will get at today's exchange rate. Except when they hit the "=" button, the calculator is rigged in their favour to short-change you. To avoid being scammed, ask them the exchange rate, then use *YOUR OWN* calculator. 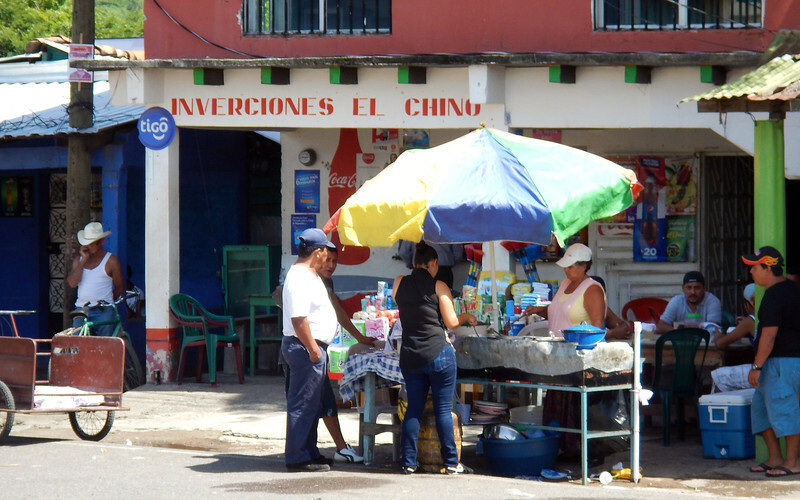 I heard another great tip: If you haven't planned wisely and still have a lot of the local currency when you hit the border, don't use a CambioGuy. Instead, try to find another traveler coming from the other direction and exchange money with them, since you'll both need the currency from where you both came from and you can use the official exchange rate to both your benefits. 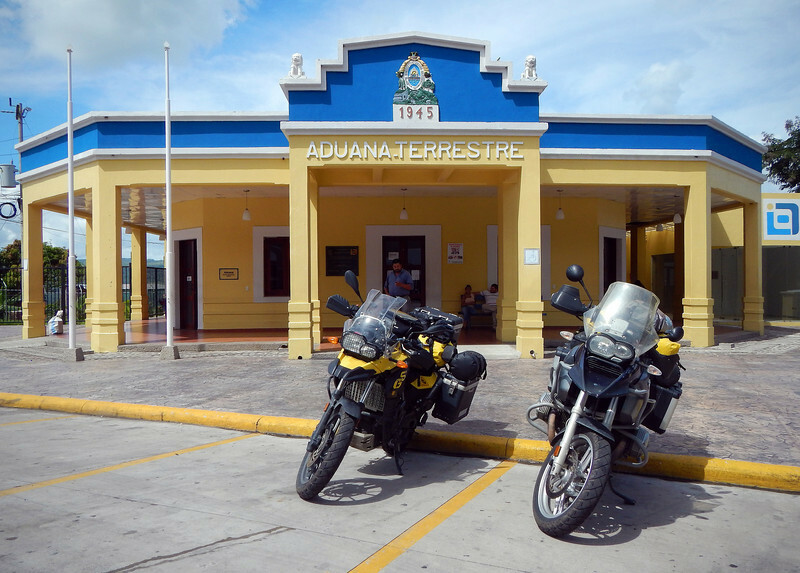 Finally we cross the border, and we run into the Iguana Motorcycle Club from Honduras! 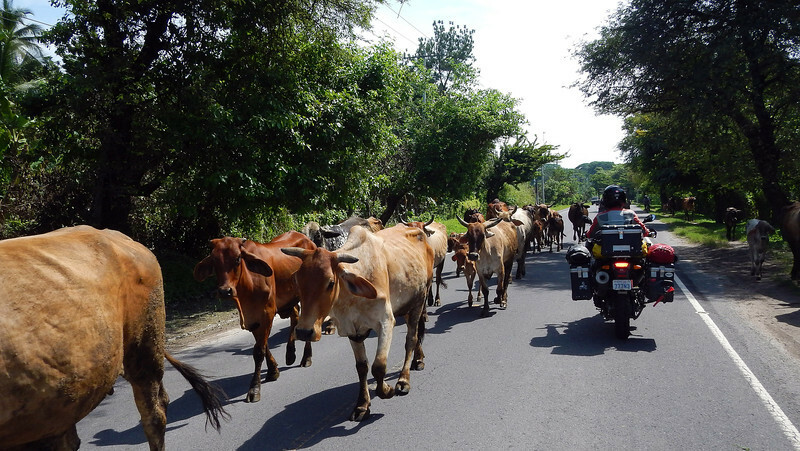 There are not a lot of helpers at the Honduras/Nicaragua border. 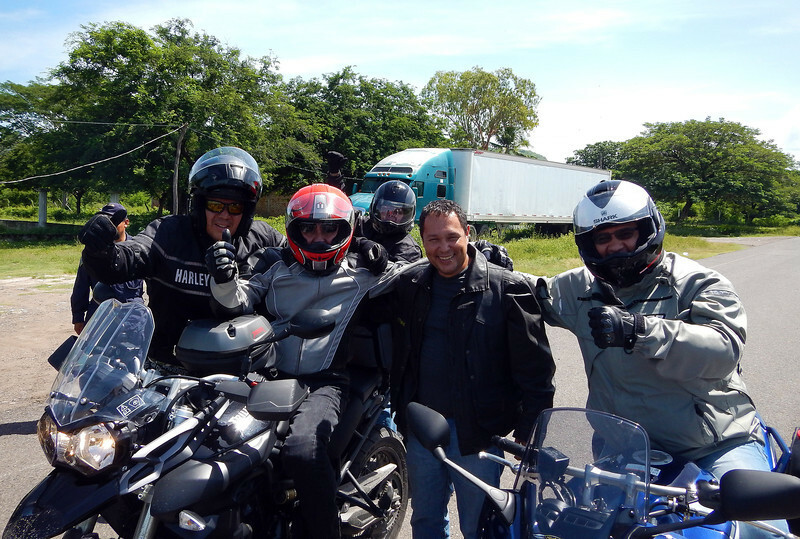 You can always tell how difficult and complicated the border crossing will be by how many helpers swarm you. I like how all the border crossing buildings are colour-co-ordinated! Every picture of Neda I have today is of her lined up at some booth!